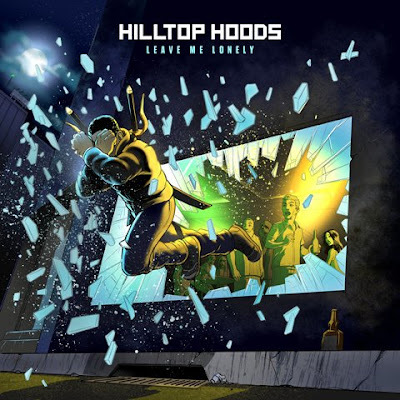 hilltop hoods Hilltop Hoods Release New Single "Leave Me Lonely" & Announce New LP "The Great Expanse"
Hilltop Hoods Release New Single "Leave Me Lonely" & Announce New LP "The Great Expanse"
HILLTOP HOODS dropped a brand-new single today entitled "Leave Me Lonely". The new track follows the ARIA nominated Certified Gold single ‘Clark Griswold ‘and drops ahead of the groups much-anticipated forthcoming studio album The Great Expanse. The upcoming album will be released on Friday, February 22, 2019. Pre-orders for Hilltop Hood's new album The Great Expanse are available now and the first two singles ‘Leave Me Lonely’ & ‘Clark Griswold’ come bundled as instant grat tracks in the iTunes pre-order. As an added bonus when pre-ordering through the official album store fans can get the Restrung Live music-documentary free as part the order. To celebrate the release of the album The Great Expanse exclusive merch CD, Digital & Coloured vinyl bundles will be available from the official album store. You can catch Hilltop Hoods live in 2019 during a yet to be named full U.S. Tour in support of the The Great Expanse. Details TBD.